Dr Quitmeyer is hosting a live screening of the first show on 16 Feb 2017, 11am at LT 7A, Building 36. 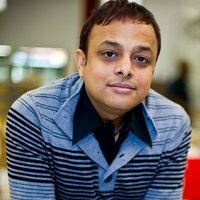 Prof Mohan Dutta, Head of the Department of Communications and New Media and NUS Provost’s Chair Professor, was selected as the 2016 ICA Applied/Public Policy Communication Researcher. The prestige is awarded by the International Communication Association (ICA), which is an academic association for scholars interested in the study, teaching, and application of all aspects of human and mediated communication. Prof Dutta received the award at the 66th Annual Conference of the International Communication Association held in Fukuoka, Japan on 11 June 2016. Our heartiest congratulations to Prof Dutta!